Clive Owen returns to the West End for the first time in 18 years to play the Rev T Lawrence Shannon in Tennessee Williams’s tense drama, The Night of the Iguana, it has been announced. 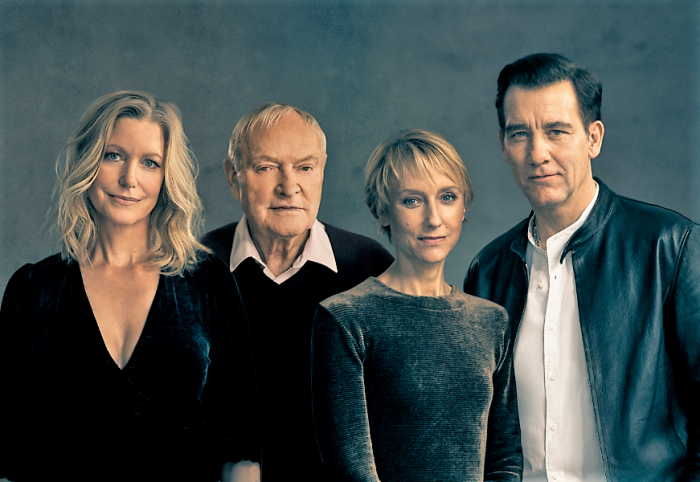 Golden Globe-winner Owen (Closer, Children of Men) will be joined by Lia Williams (The Crown, Mary Stuart), Anna Gunn (Breaking Bad) and Julian Glover (Game of Thrones). In the strange limbo of 1940, in a dilapidated hotel, perched high in a rain-forest, above the west coast of Mexico, a group of lost souls collide – a defrocked priest turned tourist guide, the grieving widow who runs the hotel, a family of jubilant Nazis… and an itinerant portrait artist with her 97-year-old poet grandfather. Clive Owen’s theatre credits include his portrayal of Romeo at the Young Vic, starring in Sean Mathias’ staging of Noel Coward’s Design for Living, and playing the lead role in Patrick Marber’s original production of Closer at the Royal National Theater in 1997. In 2015, Clive made his Broadway debut in a revival of Old Times. He later returned to Broadway in the 2017 production of M. Butterfly. Lia Williams recent theatre credits include The Prime of Miss Jean Brodie, The Lover, The Collection (Donmar Warehouse); Mary Stuart (Almeida/Duke of York’s); Oresteia – Olivier Award nomination for Best Actress (Almeida/Trafalgar Studios); Old Times (Harold Pinter). The Night Of The Iguana, directed by James Macdonald, will run at the Noël Coward Theatre from July 6 until September 28.